​Sunderland have confirmed the signing of Northern Ireland international striker Will Grigg from Wigan Athletic for a fee of £4m, subject to EFL and FA approval. The transfer was finally announced a full 12 hours after the transfer window had closed on Thursday evening as Sunderland left it late to wrap up their fifth signing of the month. Announcing the signing on their ​official website, Sunderland confirmed that it had been completed 'moments before the January transfer window slammed shut'. 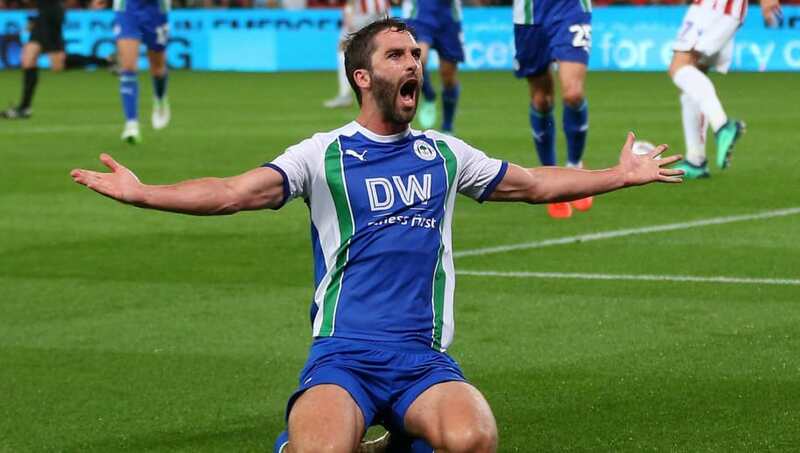 Grigg leaves ​Wigan after a prolific three-and-a-half years in which he scored 52 goals in 126 league appearances and twice won promotion to the Championship from League One. He also scored seven goals in eight appearances during Wigan's memorable run to the FA Cup quarter finals last season, including the winner against Manchester City in the fifth round. "The club desperately wanted to keep Will but this is an offer we simply couldn’t refuse," Latics manager Paul Cook told the club's ​official website. "This comes with so much emotional attachment because Will is so popular with our supporters and is somebody who has given everyone associated with the club so many great moments during, not just my time as the club’s manager, but throughout his three-and-a-half years at Wigan Athletic. "We all wish Will the very best for the future." Grigg will be aiming for a fifth promotion from League One in the last six seasons, having helped Brentford and MK Dons reach the second tier before his move to Wigan in 2015. Grigg follows Jimmy Dunne, Grant Leadbitter, Lewis Morgan and Kazaiah Sterling in moving to the Stadium of Light last month, while Max Power’s loan deal was also made permanent.